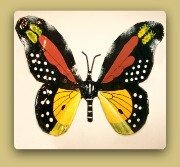 Papier Mache is the name given to a paste made soaking paper in a mixture of water and flour. This technique was invented in China and taken to France where it got its name, which means chewed paper. The traditional method of making paper mache is to use a mixture of water and flour cooked to the consistency of heavy cream. The paper is cut or torn into strips, and soaked in the paste until saturated. The strips may be placed on an armature, or skeleton, commonly made of wire, or on an object to create a cast. Oil or grease can be used as a release agent if needed. Once dried, the resulting material is sanded and painted. 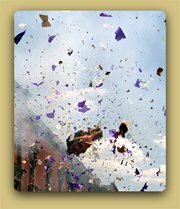 Paper mache was brought to Mexico by the Spaniards and introduced to the native population by the Jesuits. 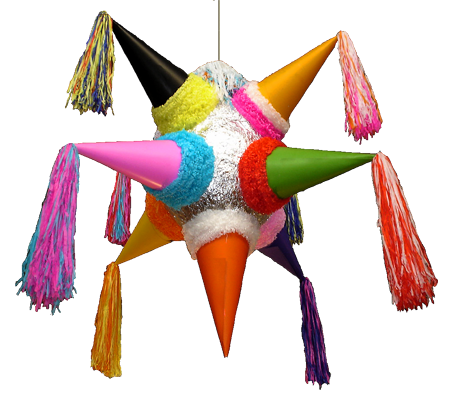 Piñatas used during Christmas season and birthday parties. And Judas sculptures, big figurines depicting Judas Iscariote burnt in public plazas during the Holy Saturday. 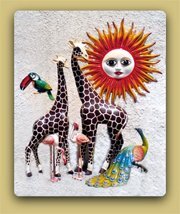 The work of the cartoneros has evolved and paper mache has been used to make decorative crafts such as fruits, vegetables and trays and folk art sculptures like the world famous alebrijes. 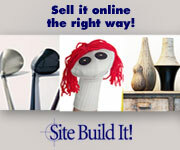 Paper mache is easy to learn and versatile so it is a technique widely taught at workshops around the country. Popular designs like, clowns, viejitos, animals, skulls, skeletons, catrinas and masks are made in different parts of Mexico notably in Jalisco, Guanajuato, Puebla and Hidalgo. 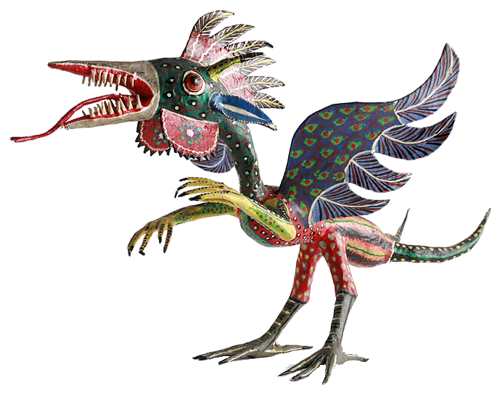 Pedro Linares a cartonero from Mexico City created these mythical creatures in the late 1930's. 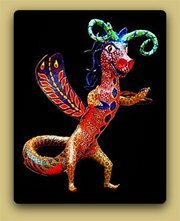 Today the alebrijes are world famous and Pedro's descendants and many other crafters in the country continue making the colorful and wild animals. 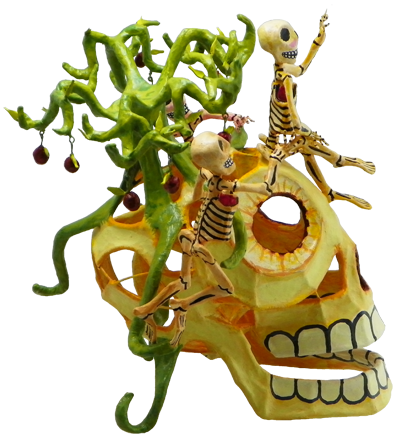 Saulo Moreno Hernandez, internationally known artist, created a style of his own with wire structured paper mache sculptures that he named alambroides. Vibrantly colored skeletons and animals, full of life and movement thanks to the technique he wonderfully mastered, are collectible pieces. 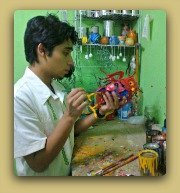 His son Mario Moreno Contreras inherited Saulo's artistic talent and is recognized by many folk art scholars as the perpetuation of the Alambroide Style. 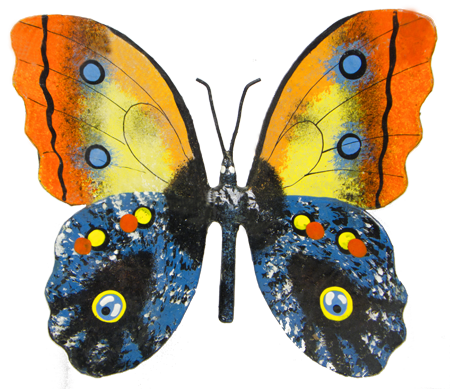 Representations of real butterflies, these colorful and detailed paper mache butterflies are handmade and hand painted by a Mayan family from Yucatan. 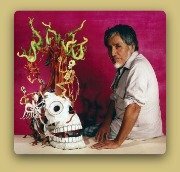 Founded in 1963 Sermel created high end quality papier mache sculptures that have captivated collectors from around the world. 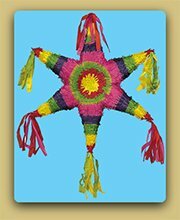 Their designs have been acclaimed and awarded and have become icons in Mexican Folk Art.